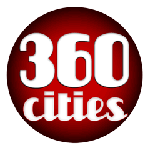 over your competitors with stunning, fully controllable, 360 presentations of your business ideas and Locations. We can also identify other potential streams to improve your business profile. Once we have assessed the current level of exposure you have, we can optimise your accessibility to potential clients using various marketing techniques. Please contact us for a quotation as prices vary from project to project. 1) 50% down payment will be paid by the client upon agreement, and the remaining 50% to be paid upon delivery. 2) Delivery method will be in a form of CD or DVD, based on the size of the project. 3) Delivery time will be specified within the contract, normally between 2-7 business days, unless otherwise specified in the contract. 4) Should you choose to cancel any project order, either 10% of the total price or US$50 (whichever is greater) will be deducted from the down payment. 5) For any changes or amendments to the project, a new contract will be formed with a new price, adjusted down payment amount and condition 4 will still apply.